Need an East Goshen moving company that will actually put your needs first? Then reach out to Simonik Transportation & Warehousing today! We’ve been the region’s premier moving team since 1977, giving us well over four decades of experience in household, commercial, and specialized moving projects. Whether you’re relocating over a few miles or a few thousand, we have world-class equipment, training, and resources to simplify your experience from origin to destination. 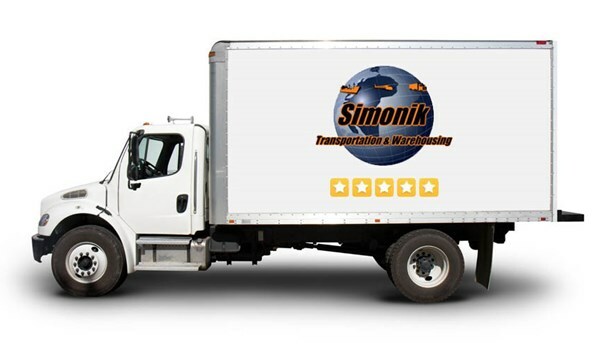 When you’re moving your office equipment or personnel, you deserve to go with the proven professionals of Simonik Transportation. Not only do we bring 40+ years of experience, but we also specialize in fully customized moving strategies based on your business objectives. Through the careful management of a certified move coordinator, we’ll ensure that your company’s East Goshen moving and storage needs are skillfully met! Although you have your choice of East Goshen moving companies, not all of them are capable of managing something as complex as an international move. Fortunately, Simonik Transportation is! Along with the support of our global Allied network, we’re also a Registered International Mover (RIM). From international shipping to customs clearance, we’ll help at every step of the process. Residential Storage: Our East Goshen movers can arrange for pick-up and delivery to minimize the stress of your household storage experience. Commercial Storage: With both vaulted and open-racked solutions, we have the right space and security level for office equipment, records, furniture, and more. Why let your next household or business move become any more stressful? Reach out to Simonik Transportation today to see how affordably our East Goshen moving company can assist you! Call us or fill out our online form to request your free moving quote now.